Xiaomi Mi 9 Live Shots Reveal Front and Rear Design - Playfuldroid! Earlier today, Xiaomi officially confirmed that it will be launching the Xiaomi Mi 9 flagship phone on Feb. 20. 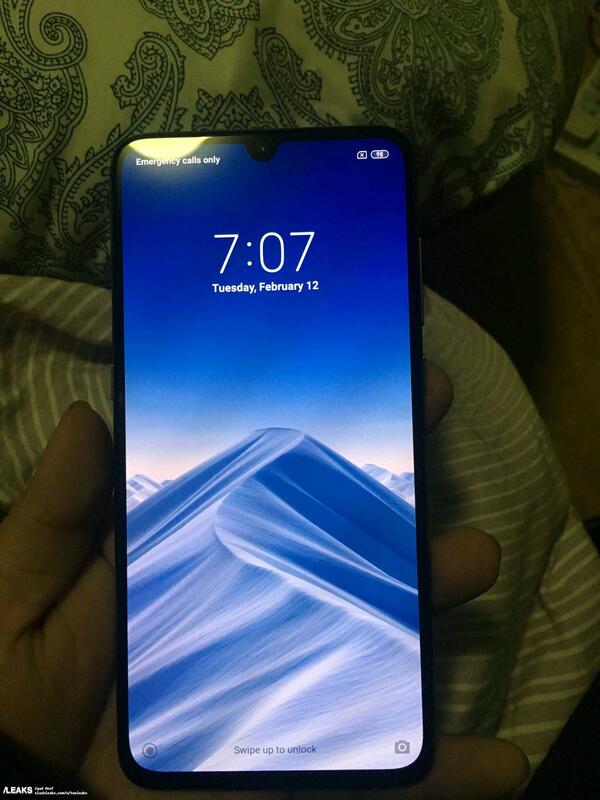 Soon after the announcement, the rumor mill revealed leaked live photos of the Xiaomi Mi 9. 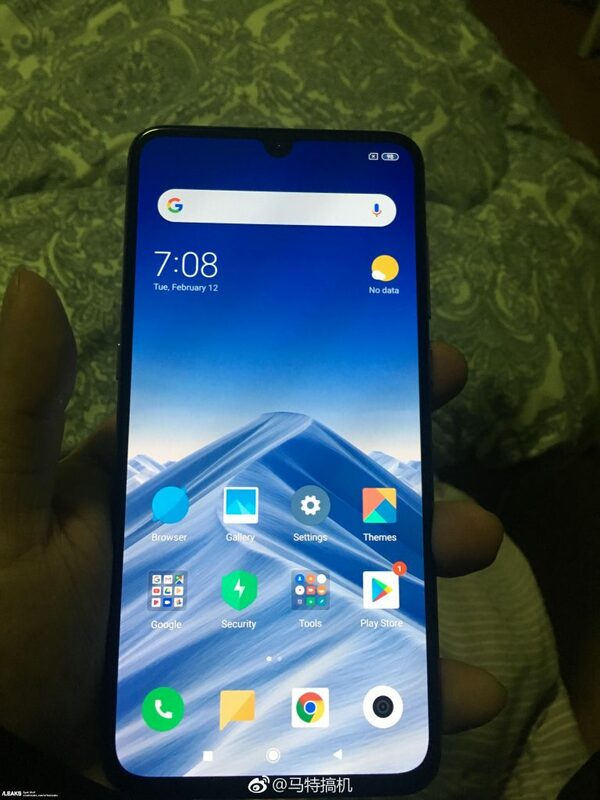 The leaked images have not only revealed the front and rear design of the Mi 9, but also its key specs. The Xiaomi Mi 9 live shots reveal that it is fitted with a waterdrop-style notched display. The rear image shows that it is a black variant of the phone. The triple camera setup with an LED flash placed below it can be seen on the top-left corner of the back panel. The rear shell appears to be curved towards the left and right edges. 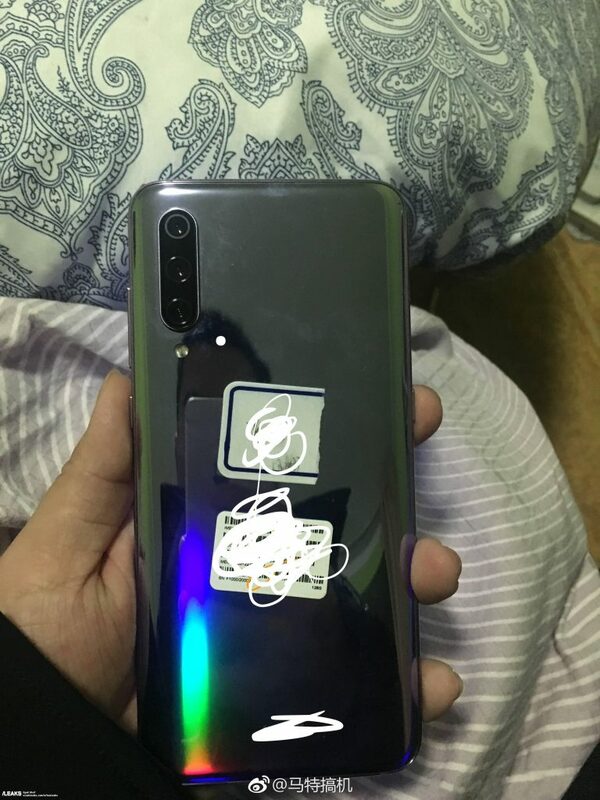 There is no fingerprint scanner on the backside of the Xiaomi Mi 9 which indicates that it will be equipped with an in-display fingerprint sensor. One of the images shows the About Phone page of the device. It reveals that the smartphone is fueled by an octa-core processor that works at 2.84 GHz. It could be the Snapdragon 855 chipset. The SoC is supported by 6 GB of RAM and it has an internal storage of 128 GB. 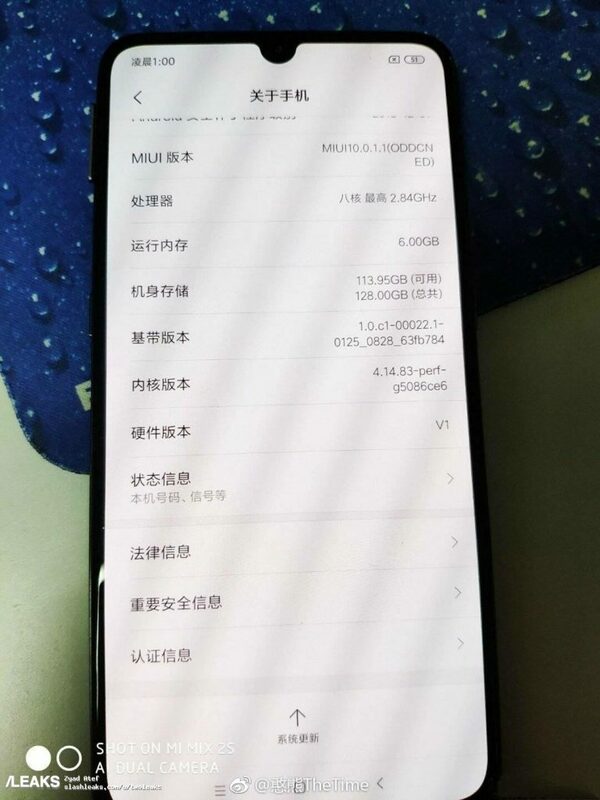 Rumors have it that the Xiaomi Mi 9 will be featuring a 6.4-inch AMOLED display. It may feature a 3,500mAh battery that may carry support for 27W fast charging. For photography, it may feature 48-megapixel + 12-megapixel + ToF sensor.